Before contact with Europeans, the natives of North America were divided into many different polities, from small bands of a few families to large empires. They lived in several "culture areas", which roughly correspond to geographic and biological zones and give a good indication of the main lifeway or occupation of the people who lived there (e.g. the bison hunters of the Great Plains, or the farmers of Mesoamerica). Native groups can also be classified by their language family (e.g. Athapascan or Uto-Aztecan). Peoples with similar languages did not always share the same material culture, nor were they always allies. Anthropologists think that the Inuit people of the high Arctic came to North America much later than other native groups, as evidenced by the disappearance of Dorset culture artifacts from the archaeological record, and their replacement by the Thule people. 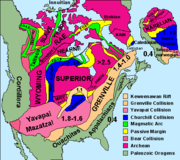 It is possible that North America had several peoples among its early settlers. The best known evidence that supports this theory is Kennewick Man. During the Age of Discovery, Europeans began exploring and staking claims in various parts of North America. Upon their arrival in the "New World," the Native American population declined substantially, primarily due to the introduction of European diseases to which the Native Americans lacked immunity, as well as violent conflicts. Native peoples found their culture changed drastically. As such, their affiliation with political and cultural groups changed as well, several linguistic groups went extinct, and others changed quite quickly. The names and cultures that Europeans recorded for the natives were not necessarily the same as the ones they had used a few generations before, or the ones in use today. 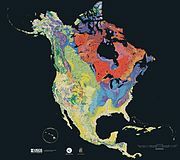 The United States Geographical Survey states that the geographic center of North America is "6 miles west of Balta, Pierce County, North Dakota" at approximately 48°10′N 100°10′W, approximately 15 miles (24 km) from Rugby, North Dakota. The USGS further states that “No marked or monumented point has been established by any government agency as the geographic center of either the 50 States, the conterminous United States, or the North American continent.” Nonetheless, there is a 15-foot (4.5 m) field stone obelisk in Rugby claiming to mark the center. 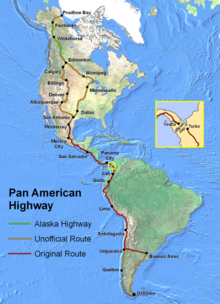 The North American continental pole of inaccessibility is located 1,650 km (1,030 mi) from the nearest coastline, between Allen and Kyle, South Dakota at 43.36°N 101.97°W. The French language has historically played a significant role in North America and now retains a distinctive presence in some regions. Canada is officially bilingual. French is the official language of the Province of Quebec, where 95% of the people speak it as either their first or second language, and it is co-official with English in the Province of New Brunswick. Other French-speaking locales include the Province of Ontario (the official language is English, but there is an estimated 600,000 Franco-Ontarians), the Province of Manitoba (co-official as de-jure with English), the French West Indies and Saint-Pierre et Miquelon, as well as the US state of Louisiana, where French is also an official language. Haiti is included with this group based on historical association but Haitians speak both Creole and French. Similarly, French and French Antillean Creole is spoken in Saint Lucia and the Commonwealth of Dominica alongside English. 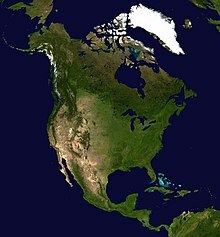 The most populous country in North America, over doubling the second largest country in population, is the United States with 303,606,020 persons. The second largest country, and only other country to maintain a populace above 100 million persons is Mexico with a population of 112,322,757. 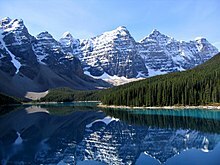 Canada is the third largest country with a population of 32,623,490. 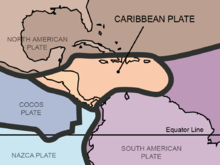 The majority of Caribbean island-nations have national populations under one million, though Cuba, Dominican Republic, Haiti, Puerto Rico - a territory of the United States, Jamaica, and Trinidad and Tobago have populations higher than one million. Eight of the top ten metropolitan areas are located in the United States. These metropolitan areas all have a population of above 5.5 million and include the New York City metropolitan area, Los Angeles metropolitan area, Chicago metropolitan area, and the Dallas–Fort Worth metroplex. Whilst the majority of the largest metropolitan areas are within the United States, Mexico is host to the largest metropolitan area by population in North America: Greater Mexico City. Canada also breaks into the top ten largest metropolitan areas with the Toronto metropolitan area having five and half million citizens. The proximity of cities to each other on the Canada - United States border and Mexico - United States border has led to the rise of international metropolitan areas. These urban agglomerations are observed at their largest and most productive in Detroit–Windsor and San Diego–Tijuana and experience large commercial, economic, and cultural activity. 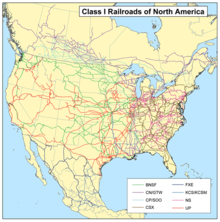 The metropolitan areas are responsible for millions of dollars of trade dependent on international freight. In Detroit-Windsor the Border Transportation Partnership study in 2004 concluded USD $13 billion was dependent on the Detroit–Windsor international border crossing while in San Diego-Tijuana freight at the Otay Mesa Port of Entry was valued at USD $20 billion.